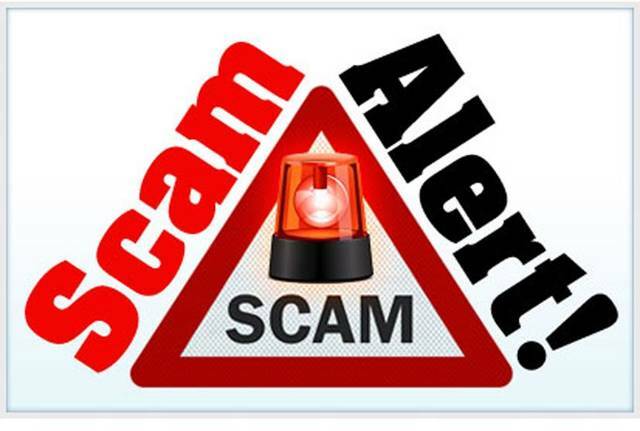 GALION — A scam artist his trying to sell book cover ads in the Galion area. Galion City Schools has been made aware of an individual falsely representing the district while seeking sponsorships for book cover ads from Galion area businesses. This individual is not authorized to solicit sponsorships on behalf of Galion City Schools and is violating Galion law and the Ohio Revised Code. Please contact the Galion Police Department at 419-468-5255, 419-468-9111 or email Officer Patton at jonathanpatton@galion.city if your business is asked to purchase a sponsorship for book covers for the the school district. Galion City Schools only authorizes the following to solicit sponsorships on its behalf throughout the school year: Great Midwest Sports, which produces sports calendars for all area school districts; students involved in the SPY yearbook group, who will call seeking sponsorships annually for the yearbook; and Athletic Director Kyle Baughn, who sends out two sponsorship letters each year for banner advertisements and program advertisements. If your business is approached in the future about purchasing sponsorships for the school district, contact Baughn at 419-486-6500 or email baughn.kyle@galionschools.org to confirm the sponsorship opportunity is authorized.